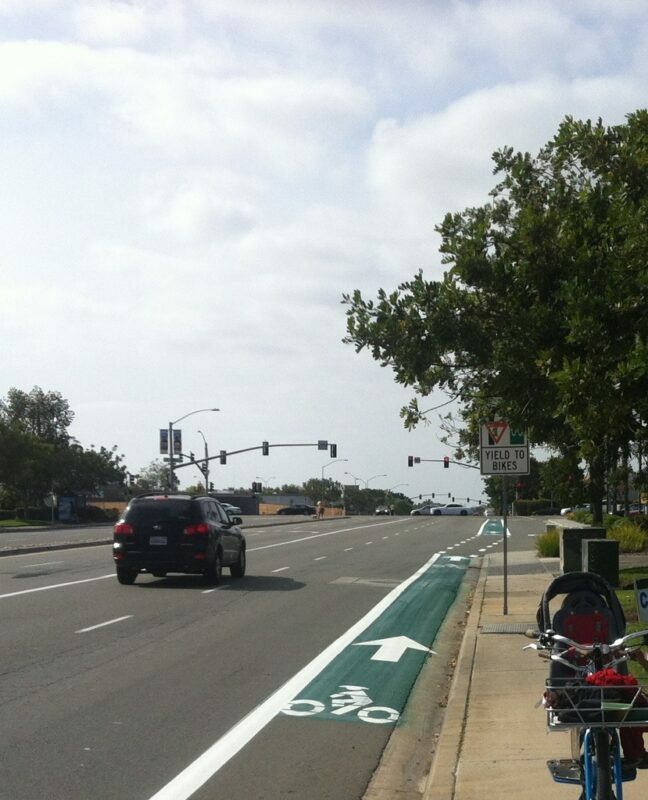 The southbound Genessee Ave bike lane was painted green in the “conflict zone” just before intersecting with Balboa Ave. So happy to see that the lane doesn’t disappear at the conflict area. Opponents may argue that paint doesn’t save lives. I would bet that awareness does though. Nice work. 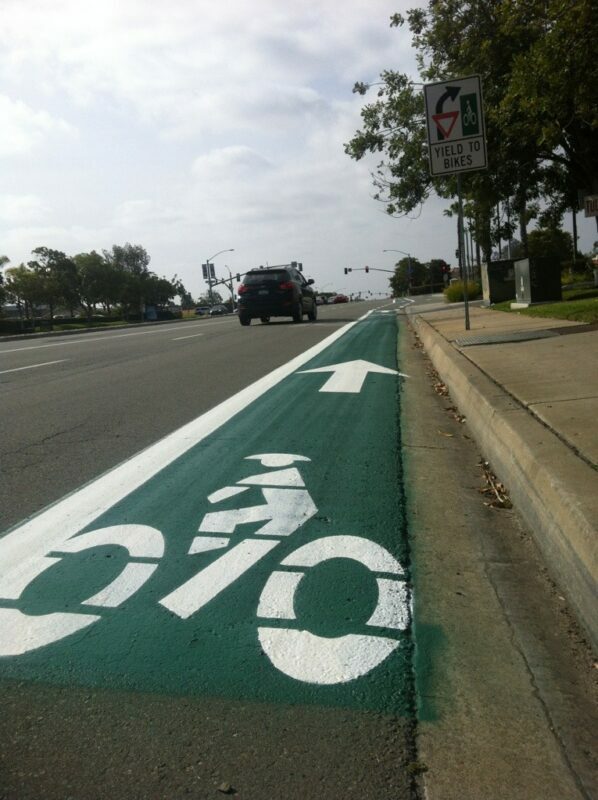 Nice to see the pretty green paint; however, those of us that live in district 6 have learned that the sidewalk is the safest place to ride bicycles. 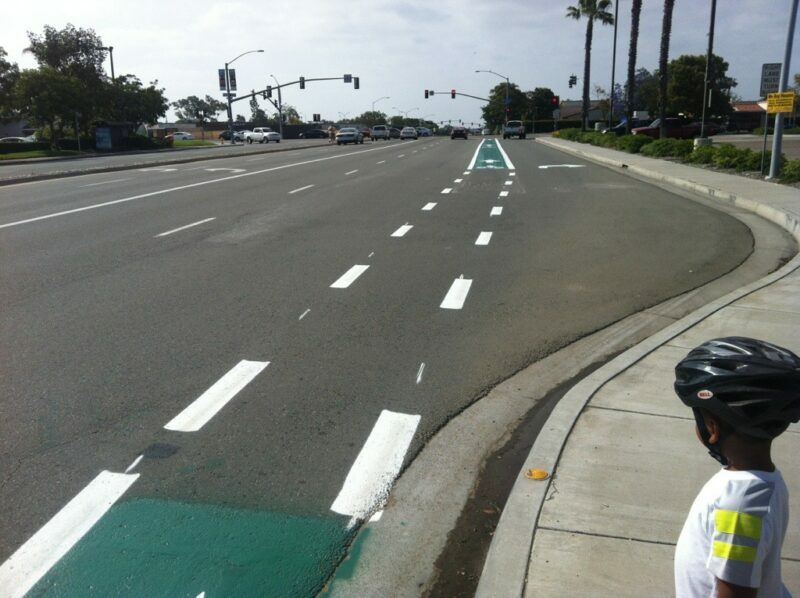 Just rode over my first green paint this morning, west bound Ocean View Hills Pkwy at Dennery. Not to complain and perhaps they’re not done, but just west of that intersection is 805 which has all the hallmarks of a surface street-freeway death zone. No green paint love there. Or in the east bound direction featuring a Walmart mega-strip mall on the right and a Kaiser clinic on the left. No fun.